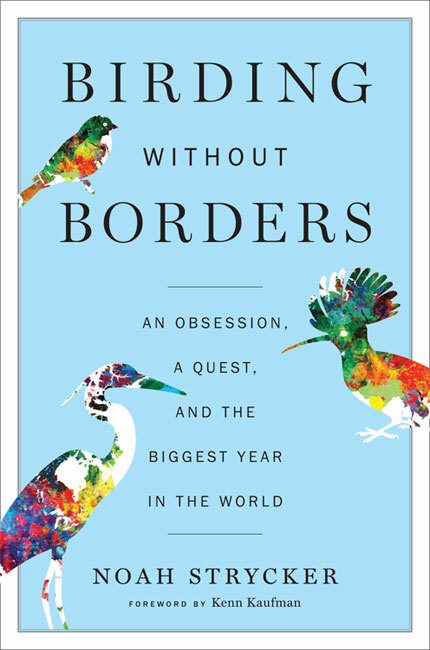 Noah Strycker is the author of the new book Birding Without Borders: An Obsession, A Quest, and the Biggest Year in the World. 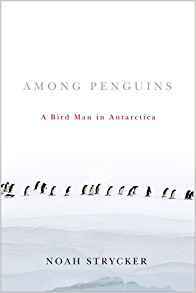 He also has written The Thing With Feathers and Among Penguins. He is associate editor of Birding magazine. Q: Why did you decide to write your new book, and were you working on it throughout the year you describe in the book? 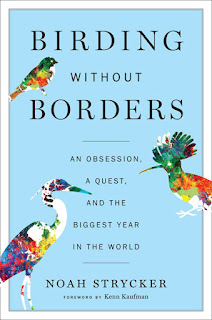 A: This book is about birding the world - the adventures, misadventures, and stories along the way. I kept a daily blog (on Audubon's website) while traveling and then wrote the book after my big year, and those were two very different writing projects. The blog was literally a daily account of what I saw, where I went, and who I met. The book, meanwhile, is a continuous narrative, focusing on the highlights and people in these far-flung places. Q: What first got you interested in birding? A: My fifth-grade teacher suction-cupped a plastic bird feeder to our classroom window, and it was a slippery slope after that! My parents have a 20-acre property outside of Eugene, Oregon, with lots of birds in the backyard. Growing up around nature is one of the best gifts any child could have. Q: Of the 6,000-plus bird species you saw during your record-breaking year, were there any that particularly impressed you? A: In Brazil, near the beginning of the year, I saw a Harpy Eagle, the most powerful raptor in the western hemisphere. The Harpy lives only in large rainforests in South and Central America, and eats monkeys and sloths. I was lucky to stake out a nest near the Pantanal in central Brazil, where the male Harpy Eagle flew in carrying half a coati (a raccoon-like animal) in its talons, which are as long as a grizzly bear's claws. When it spreads out its toes, this eagle's feet are the same circumference as a dinner plate. That bird is seared into my memory. Q: What impact did your "big year" have on you? A: By visiting 41 countries in one year, I gained a snapshot perspective of the world and its birds. I saw a lot of depressing environmental issues, but also found a global community of bird lovers that didn't exist even 10 years ago. Besides 6,000 birds, I came away from this adventure with a network of new friends. By looking for birds, I found my own place in the world - and, I hope, helped spread a little of that inspiration. 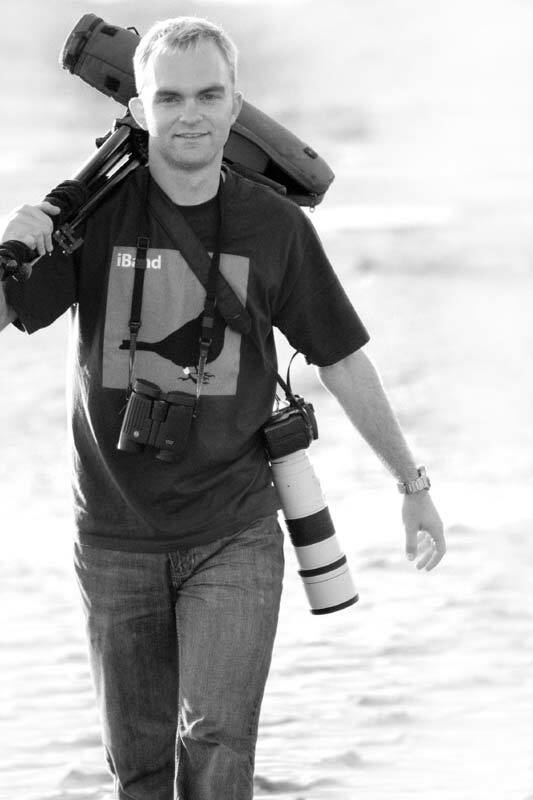 A: A new book, called Birds of the Photo Ark, will be published by National Geographic next April. 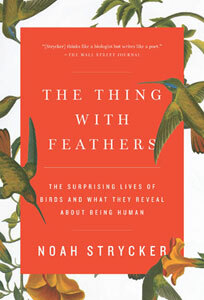 It's a beautiful book with photographs by Joel Sartore and my own essays about bird behavior, evolution, and conservation. I also spend about three months each year on expeditions to Antarctica and the Arctic, and am looking forward to more fun adventures ahead!